Don't miss this invaluable 2-hour seminar on the essentials of income tax for individual artists of all disciplines. Learn how artists and artists groups can efficiently track income and expense throughout the year and how to correctly file your taxes. Topics will include record keeping, IRS form 1040, Schedule C, and self-employment schedules, itemized deductions, hobby losses, home offices and much more! 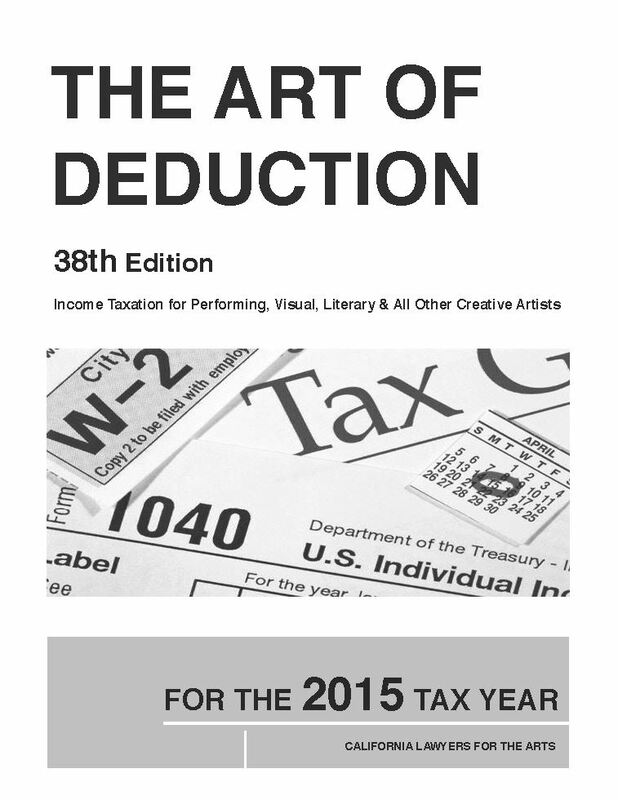 Comprehensive 30-page tax workbook "The Art of Deduction"
and forms included with paid admission! the Downtown Berkeley BART Station!